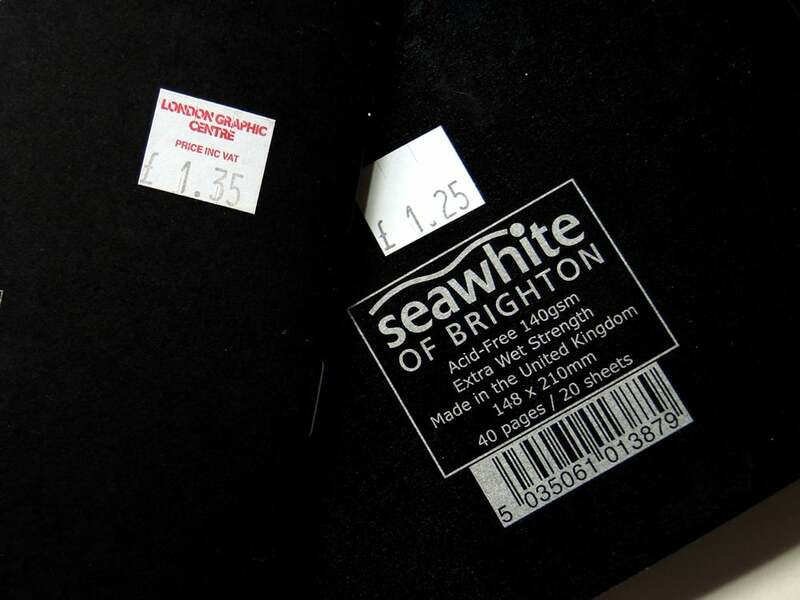 Seawhite of Brighton is a brand that encapsulates a range of art supplies. 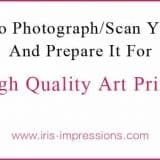 They are most well known for being super affordable and creating paper that stands up to wet media. 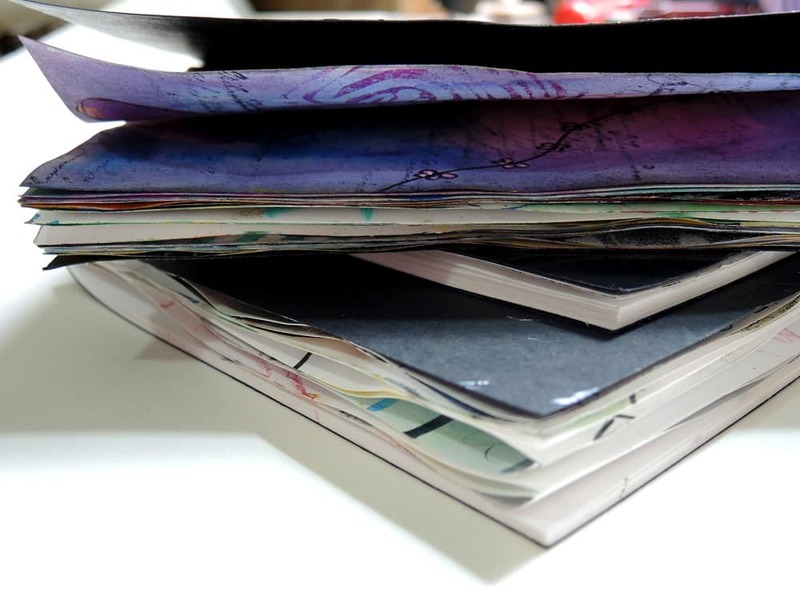 In this review I’m focusing on the ‘Starter Stapled Sketchbooks’, although as far as I know the paper used across the range of sketchbooks is the same, it’s just the binding & format that differs. It looks cheap & cheerful. Very simple, kind of like a school notebook but unruled. The cover comes in several different colour options. As the name suggests, the binding is created with staples. Two staples hold one signature of paper together. Using staples for binding feels cheap, and yet I can’t fault it. 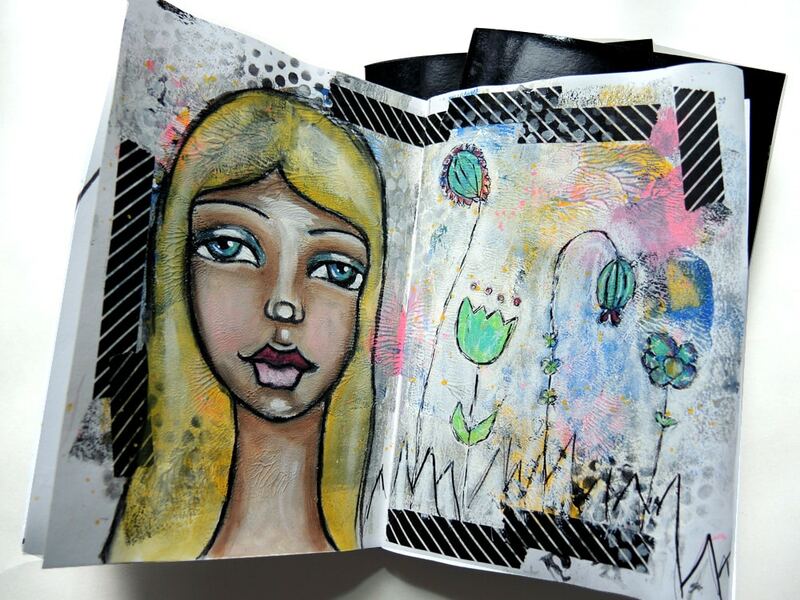 While working in this journal I’ve never wished for different binding or found it was lacking in some way. There is some bleeding due to the binding, but it’s not much different from journals that are bound differently or more expensively (I have yet to find a journal that doesn’t bleed through the spine). 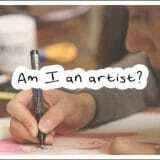 The website describes the paper as ‘140gsm all-media cartridge paper, extra wet strength’. It’s the extra wet strength that is important. The paper definitely stands up better than other paper with a similar weight. I’d usually recommend going to at least 200gsm for heavy or wet mixed media use, but this journal can take it up to a point. 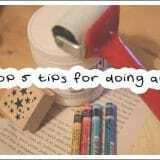 The paper quality is surprising for the price point and the weight, but it does have a tipping point. 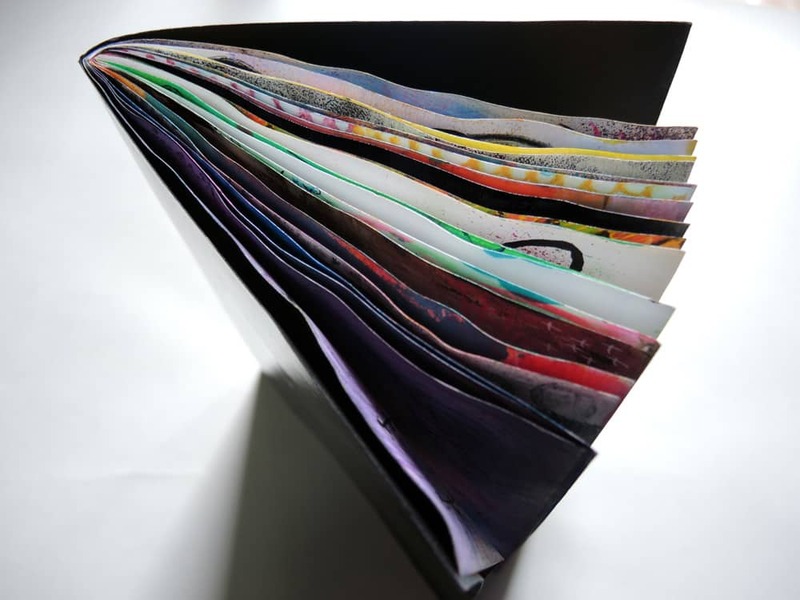 This is a UK made journal and is widely available in the UK and as far as I know they are also well stocked in mainland Europe. The first time I saw the price on this journal my eyed about popped out of their sockets, it was £1.25 (about $1.90) for the A5 size. What??? It makes this journal incredibly affordable, a no brainer. 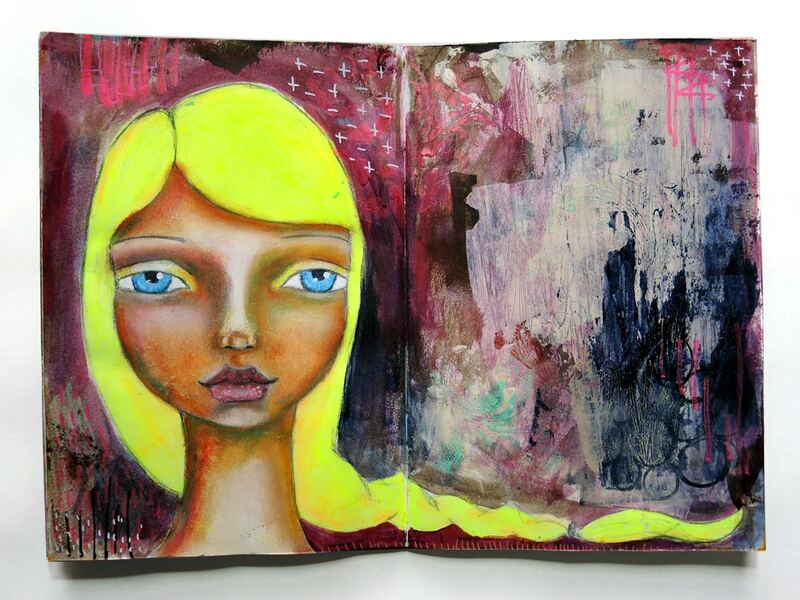 The price is the biggest deciding factor in my love for this journal. 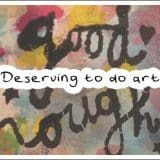 It’s so ridiculously cheap, it makes me much more forgiving than I would be of a more expensive journal. I can get loads of these, experimenting with sizes, without feeling guilty. I’m always pleasantly surprised at the decent quality. Having said that, the paper does pill if you keep going at it and there is a fair amount of buckling (which I personally don’t mind because I just flatten the pages afterwards). Due to its size it’s a great journal to take with you and because it has a low number of pages (40) it’s satisfying to be able to fill up a journal quickly! Overall it is not ‘the best’ journal for me, but because of price in relation to quality it’s one I buy again and again, definitely a staple (har har, see what I did there?). 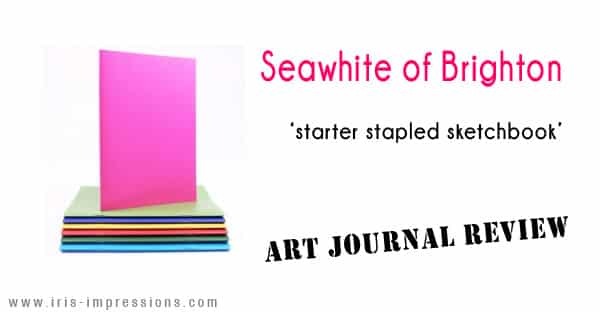 If you’ve used Seawhite of Brighton journals yourself and would like to share your opinion please do leave a comment below!